SOUTHFIELD, Mich. – Ayar Law is one of southeast Michigan’s preferred tax law firms that helps individuals and businesses solve their tax problems, which grows increasingly important as the 2015 tax deadline fast approaches. The firm’s small size allows it to provide clients with an unparalleled level of personal attention and customer service, and find the right solutions. 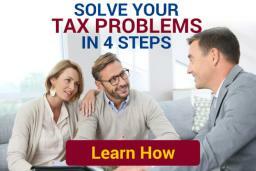 One of the most common issues the firm helps solve is what people can do if they end up owing more in taxes than they can afford to pay. Ayar Law recommends a few different options to help solve this problem, including getting on a payment plan that fits within the budget. If unable to afford a payment plan, people can also be placed in non-collectible status. This would keep the IRS from collecting money owed until the person’s financial situation changed. If they qualify, people can also choose to settle with the IRS. To qualify for a settlement, the IRS must be convinced that if all assets are liquidated and monthly payments are made based on current financial conditions, the debt would not be paid off before it expires. Ayar Law focuses on many areas of tax law, including audit defense, tax debt relief, negotiating tax settlements, criminal tax fraud defense and unfiled tax returns. Its narrowly-focused tax resolution practice gives it the specialized knowledge and experience to understand and solve tax problems. For more information, please contact Sherrie Handrinos at 734-341-6859 or sherriehandrinos@gmail.com.